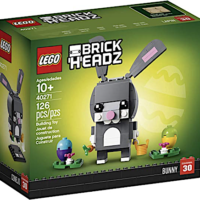 With Easter around the corner, Amazon has this LEGO BrickHeadz Easter Bunny Kit for just $7.99! Lowest price I’ve seen in a while. Perfect for your holiday baskets! My favorite! 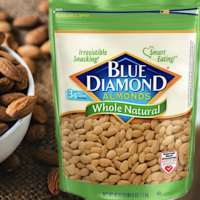 Amazon has an awesome deal on this HUGE bag of Blue Diamond Whole Natural Almonds 40oz for just $11.98 when you clip the $1 off coupon and checkout! Lowest price I’ve seen in a long while. A little tip: I usually love soaking almonds in water and leaving them there for a few hours because it creates a better texture which makes them easier to eat. Stock up! This hot deal sold out quickly last time around, so hurry! Stock up on wipes! 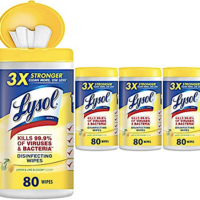 Amazon currently has these Lysol 320-Count Disinfecting Wipes for just $7.18 shipped when you checkout using Subscribe & Save! These are always good to have especially to clean up around the kitchen. Great price! Lowest price! 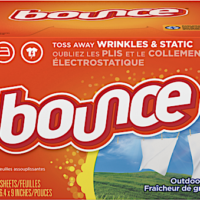 Amazon currently has these Bounce 240-Count Dryer Sheets for just $3.54 shipped! 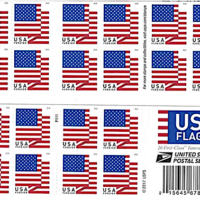 Simply clip the $2 off coupon and checkout using Subscribe & Save. Go grab one! 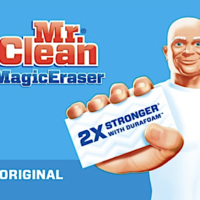 Amazon has this Mr. Clean Magic Eraser 4-Pack for just $2.06 when you clip the $1 off coupon! Plus, select no-rush shipping and receive a free $1 digital credit! This is the lowest price you’ll find on this highly rated product. Get it while you can! Take on that pile of laundry with Amazon’s Deal of the Day! 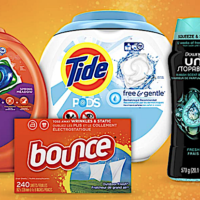 Today only, you can save up to 50% off on laundry essentials! Stock up on your favorite brands including Lysol, Method, OxiClean, Persil, Tide, and more! About 30 deals to choose from, so don’t miss it! If you haven’t yet, be sure to print out these two new high value $3/1 Tide coupons! Copyright © 2018 Coupon Pro. All Rights Reserved.